Cloom provides Ribbon/Flat Cable Assemblies. 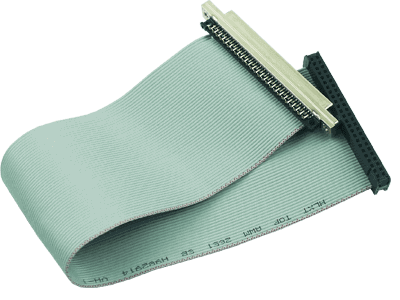 Ribbon cables offer advantages of compactness and manageability. In addition to our standard grey ribbon cabling, we can provide, color-coded (rainbow) Ribbon in laminated or edge boded form and specials such as twisted pair (twist-n-flat), round jacketed (round-n-flat) and screened ribbon cables. The range of connectors available to us is ever increasing, includes standard IDC sockets, D-types, half-pitch D-types, Centronics, Half-pitch Centronics, plus PCB Dual Inline, card-edge and transition connectors.